Source: Reprinted by permission of The Wall Street Journal, via Copyright Clearance Center © 2001 by Dow Jones & Company, Inc., 2001. All Rights Reserved Worldwide. 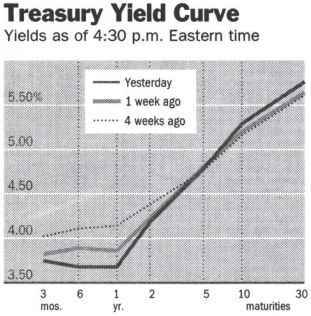 On-line yield curve information is available at www.bloom-. berg.com/markets. Treasury notes and bonds have three important features that we need to remind you of: they are default-free, they are taxable, and they are highly liquid. This is not true of bonds in general, so we need to examine what additional factors come into play when we look at bonds issued by corporations or municipalities. The first thing to consider is credit risk, that is, the possibility of default. Investors recognize that issuers other than the Treasury may or may not make all the promised payments on a bond, so they demand a higher yield as compensation for this risk. This extra compensation is called the default risk premium. Earlier in the chapter, we saw how bonds were rated based on their credit risk. What you will find if you start looking at bonds of different ratings is that lower-rated bonds have higher yields. 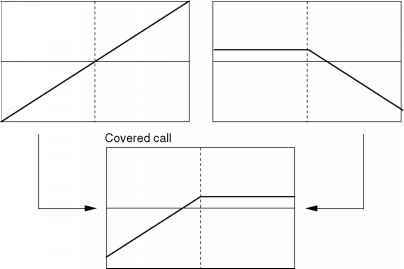 An important thing to recognize about a bond's yield is that it is calculated assuming that all the promised payments will be made. As a result, it is really a promised yield, and it may or may not be what you will earn. In particular, if the issuer defaults, your actual yield will be lower, probably much lower. This fact is particularly important when it comes to junk bonds. Thanks to a clever bit of marketing, such bonds are now commonly called high-yield bonds, which has a much nicer ring to it; but now you recognize that these are really high promised yield bonds.